Arthur Katlin, the cantor at Adath Israel Congregation in Lawrenceville, can’t quite understand how the past 20 years have flown by so quickly. 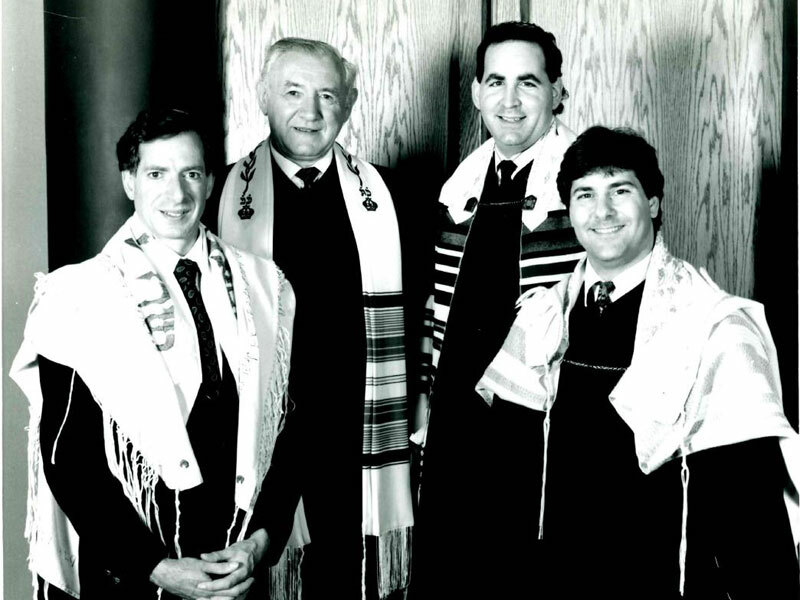 “When I started at Adath Israel in August 1991 it was my first formal pulpit straight out of the Jewish Theological Seminary Cantors Institute. I came here without children, and I now have one who has just started driving and one who is having his bar mitzva,” he said. 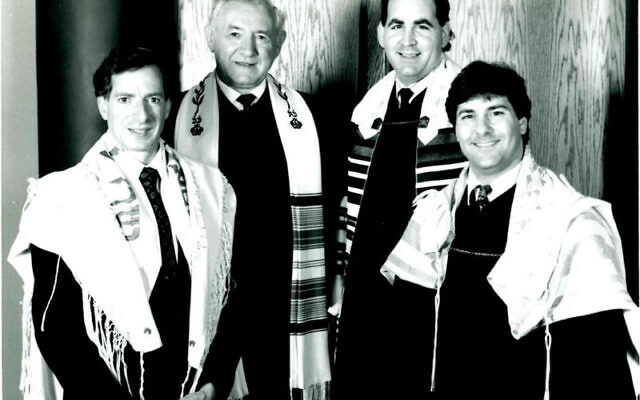 As he prepares for his 20th anniversary concert at the synagogue on April 10, Katlin reminisced over a career that has gone far beyond Jewish liturgical music. “In my early days I was a club singer and I did some theater and light opera. The joke was I played anything that was ‘ingenue’ and ‘wimp’ — that was me,” he told NJ Jewish News in a March 24 phone interview. Such a description allowed him to perform a variety of roles — some outside that description as well, such as Luther Billis in South Pacific, the Cowardly Lion in The Wizard of Oz, Matt in The Fantasticks, Petruccio in Kiss Me Late, Linus in You’re a Good Man, Charlie Brown, and Coco in The Mikado. Offstage, he delivered singing telegrams for several companies and worked as a singing waiter and maitre d’ in several restaurants. But music — both secular and religious — is only one part of his repertoire. His bachelor of arts degree from the University of Maryland combined majors in interior design and performing arts, along with minors in cultural and linguistic anthropology and animal care sciences. His eclectic range of his interests have persisted. The cantor declared himself to be a “science fiction freak” who harbors strong affections for the Harry Potter series and Star Trek episodes, and said he also likes karate classes, in-line skating, bowling, and ping-pong. From adolescence on, Katlin stayed active in the Jewish community as a member of United Synagogue Youth, the teenage organization of the Conservative movement, and was a soloist with several Jewish choirs. “I always was immersed in synagogue life, but sometimes more observant than others,” he confided. His wife, Evette — by profession a psychologist and addiction counselor — “is also a very fine singer and composer and lyricist and we do a lot of cantorial concerts together,” he said. They are both active with the Delaware Valley region of the Cantors Assembly and with the New Jersey Cantors Concert Ensemble, of which he is vice president and which will perform at the anniversary concert. “We will be showcasing music that has been composed by members of Adath Israel, as well as some by Rabbi Daniel Grossman and his wife, Elaine Grossman. Our congregation has a rich musical history. “We are a congregation that is 88 years old this year. My vision was to focus the congregation on a gift — music — that many members might not know,” he said. As styles in secular music have changed often during the 20 years that Katlin has been a cantor, some of their influences have seeped into the Conservative religious repertoire, he said. Although the concert is strictly Jewish in content, Katlin has invited church members and local Christian clergy to attend. “We want to share this celebration with the whole community of Lawrence Township. Our congregation has a great relationship with our neighbors,” he said. When he has free time, the cantor listens to a cornucopia of musical styles on his smart phone, ranging from jazz to show tunes and “a lot of Jewish styles as well as Disney and hip-hop so I can have a dialogue with my kids,” 17-year-old Shara and 12-year-old Aaron. “I make it a point to understand their musical vocabulary,” he said.